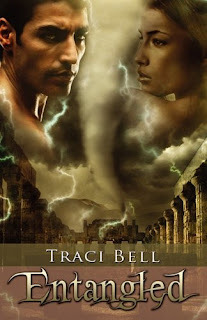 When divorced teacher Cassie Miller dreamt about meeting her soul mate, her happily-ever-after didn't include threats of abduction to a parallel world to help him save his people from imminent destruction. Alexos de Werner, exiled prince of a land now under Republican rule, is searching for the woman that can help stop the disasters devastating his home province of Ennis, in his world of Caedmon. Alex will do anything to save his people, even if they don't want his help. Unnerved by the connection she feels with Alex, and the new abilities awakening inside her, Cassie refuses Alex's request. A nudge from her best friend and a demonstration of Alex's otherworldly abilities convinces Cassie to help him. Once in Caedmon, Cassie must learn to trust Alex and accept her gift before Ennis is lost. Can she open her heart and mind and become the student instead of the teacher? If the cover doesn't draw the reader in, the plot surely will. This book reads like a fantasy romance, Alexos is searching for a specific woman who can help his land and prevent the constant disasters. Cassie is looking for her happily-ever-after. She doesn't expect to be abducted by the handsome, charismatic stranger. The reader will love the author's descriptive tone. The environment is easy to picture and exciting to read about. The land feels very real, besieged by disasters and in chaos. Alexos, the prince of this land, will do anything to prevent its destruction. He is determined, strong, and brave-exactly what one looks for in a hero. Cassie is divorced and trying to avoid her slacker ex-husband who only comes around when he is in need of money. Cassie is intelligent, brave, and caring. The two make a great pair and the reader will enjoy seeing their relationship grow and develop. The other secondary characters are fun to get to know, but are not the focus. The people of Ennis in particular will interest the reader with their different lifestyles and way of living. The romance scenes are believable and will entice any romance reader to flip rapidly through the pages. Their relationship is not "instant love," but rather a slowly developed trust. The reader will be rooting for the two and the poor people of Ennis. Pick up this book soon and enjoy the enchanting world of Ennis. This book is recommended to adult readers. Yeah agreed, I would probably pass by this book because of the cover, but great review!! This book sounds interesting. Thanks for the review post!